Tucked away from the hustle and bustle of the city is Taman Seputeh, a cosy nook between the vibrant Mid Valley City and upscale Taman Desa. This leafy little haven is encircled by the Federal Highway, KL–Seremban Highway, New Pantai Expressway and the Sprint Highway, granting the area enviable access to a number of affluent neighbourhoods full of modern conveniences, such as Bangsar, Pantai and Damansara Heights, and the established commercial precincts KL Sentral and Mid Valley City. Given its tranquility yet easy access to the more exciting parts of town, residents do enjoy the best of both worlds. Now, the latest opportunity to own a piece of Taman Seputeh has arrived — Setia Sky Seputeh, an exclusive, low-density condominium development by acclaimed developer S P Setia. The condo comprises only 290 units spread over two towers. This low-density development will see each floor having only four to six units, catering to the privacy of its residents. The accessibility and abundance of amenities for residents of Setia Sky Seputeh were S P Setia’s top priorities when they were planning for this project. “Do you know that Mid Valley City is just a stone’s throw away from our project — residents can take a breezy five-minute stroll from the condo to Mid Valley Megamall?,” said S P Setia divisional general manager of niche development Paul Soh. “On top of that, you are connected to all the major hotspots in the Klang Valley. The Kuala Lumpur City Centre, KL Eco City and KL Sentral are only a hop and skip away. Need to catch a flight at the KLIA or KLIA 2 but traffic is a nightmare? Just hop onto the KLIA Express at KL Sentral. “Aside from Mid Valley Megamall, residents also have close proximity to Bangsar Shopping Complex and Bangsar Village. There is also the Pantai Medical Centre and universities such as Help University and University of Malaya to service the needs of the residents,” said Soh. Mid Valley Megamall is a 1.7 million sq ft net lettable area shopping mall with over 400 retailers in 12 categories. It houses anchor tenants such as AEON, AEON Big, Metrojaya and Golden Screen Cinemas and retailers such as Bauhaus, Swarovski, Bershka and Superdry. On top of that, there are also plenty of eateries such as Antipodean, Brotzeit German Bier Bar & Restaurant, Nichinan Jidoriya and Souper Tang, just to name a few. Parents who are looking for learning centres will be pleased to find nursery schools such as MegaKidz and music school Rhapsody Valley Musical Instruments. “At S P Setia, we do not just build homes and sell them. We ensure that our future residents and the surrounding neighbourhood are benefited from our development. There will be upgrading and realignment of the Jalan Seputeh and Jalan Bukit Raja roads leading towards the project development. We will also be building a pedestrian bridge from the condo to the bridge crossing at Jalan Syed Putra which allows residents to cross over safely to Mid Valley Megamall,” said Soh. 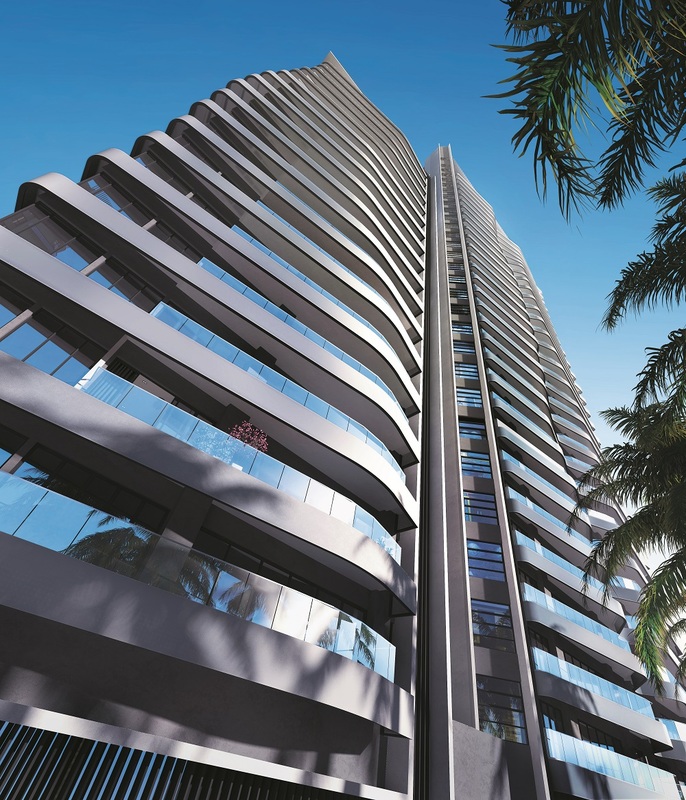 Priced tentatively at RM1,250 psf, unit built-ups range from 2,300 sq ft to 3,000 sq ft. The three bedroom units have built-ups of 2,300 sq ft, while the four bedroom and five bedroom units have built-ups of 2,600 sq ft and 3,000 sq ft respectively. Residents will also get a minimum of three car park bays while owners of the bigger units will be given up to four car park bays — which is just as much, if not more than, the parking space a landed property offers. However, unlike a landed property, the parking at Setia Sky Seputeh is reinforced with a slew of security measures. Thus, there will be enough parking space for all family members, offering each and everyone peace of mind and assurance the moment they reach home. “The stand out feature of our condo units is the generosity of the space we are offering to our buyers. The Setia Sky Seputeh units are spacious and unique such that it can accommodate up to two generations of families living in one unit. Nowadays in our busy schedule, it is hard for every member of the family to come together and spend quality time together. Now, this problem will be alleviated as family members will be able to see each other often since they are staying under one roof and enjoy bonding time together without compromising on the space at home. No other project can cater to the needs of a family lifestyle we are providing. It is similar to living in a semi-detached house or bungalow in the sky,” he said. “In addition to that, there are also upgraders who already have a dwelling unit but would like to upgrade it to a better, newer unit with a better lifestyle concept. Parents may also be buying for their children who need housing, hoping that they [the children] will stay near to them but still have their own privacy. Of course, we are also looking at foreigners who can only buy properties above RM1 million and would generally only be interested in areas such as Bangsar and Damansara Heights,” he added. On top of that, there are excellent facilities spread across some 1.5 acres of resort-themed landscape. 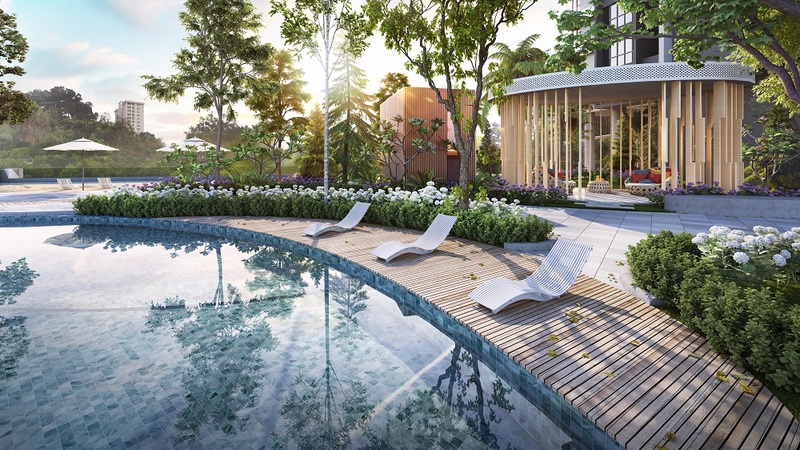 Among the proposed facilities at Setia Sky Seputeh include a man-made sandy beach, swimming pool, sauna, tea lounge, gourmet kitchen, sky lounge and sky gymnasium. There will also be furnishing packages for residents which include kitchen cabinets, electrical appliances such as a fridge and washer, water heater system, air-conditioning system and intercom system. “Another good news for the buyers of Setia Sky Seputeh is that this project is under the Setia 10:90 scheme,” said Soh. The Setia 10:90 is a Build-Then-Sell (BTS) scheme whereby purchasers pay only 10% upon signing the Sale and Purchase Agreement (SPA) and pay the balance 90% upon completion of the project. Compared to a deferred payment scheme whereby developers allow the purchasers to make payments either later or in instalments either by charging or waiving any late payment interest, the Setia 10:90 will see no other progressive billing until the property is completed. The remaining 90% is invoiced only upon delivery of vacant possession, supported by the certificate of completion and compliance. “Purchasers only pay a 10% down payment and 90% of the balance upon completion. Essentially, you do not have to worry until the project is completed,” he said. According to Soh, this benefits the buyers as they do not have to worry about the repayment bit until the project is completed. On top of that, property prices will continue to appreciate but the buyers are already locking in the price of their future property in today’s price. 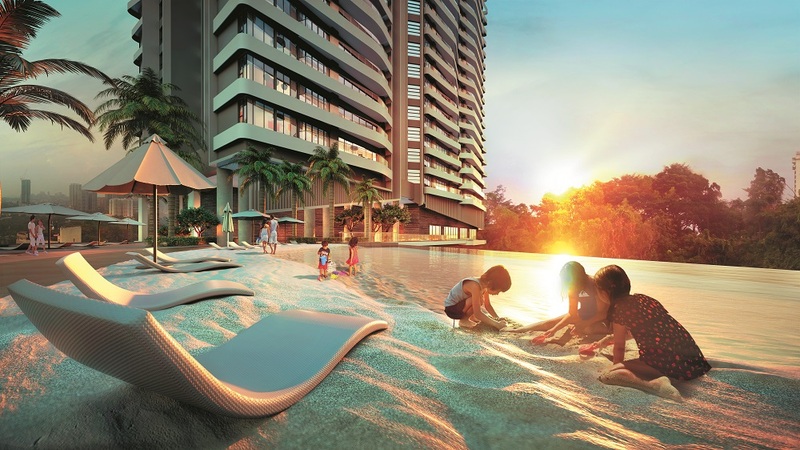 The overall selling price of the units start from RM2,990,000. “RM1,250 psf is a reasonable price to pay for the condos considering that the buyers only have to start paying after four years upon completion,” Soh added. As part of the group’s CSR, they have apportioned approximately 30,000 sq ft of the 4.8 acre project site to build a multipurpose hall, which is part of the condition from Dewan Bandaraya Kuala Lumpur (DBKL) when they acquired the land. On top of that, they will also widen Jalan Seputeh’s fronting surrounding the project to ensure smooth traffic for the residents. “We thought it was a really good idea to build the multipurpose hall because not only will the residents of our condo benefit from it, residents living in Taman Seputeh will be able to utilise the hall as well,” said Soh. 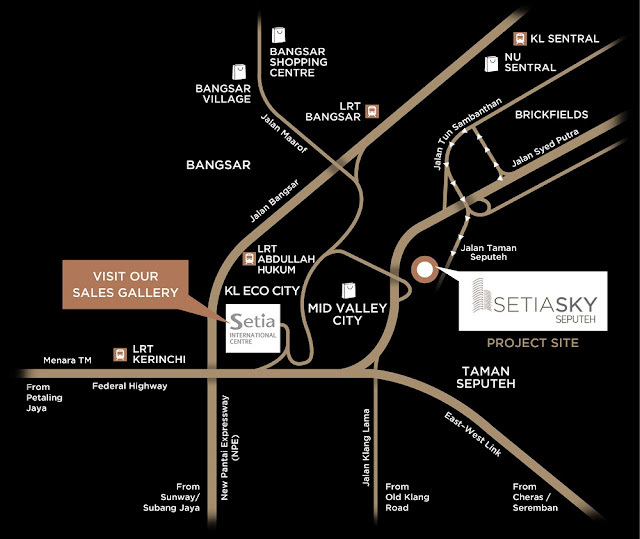 Being a project which is catered towards homebuyers, Setia Sky Seputeh will not be affected by the soft market, said Soh. “This is a niche development and it will be more focused on homebuyers rather than investors. It will be occupied by residents and will not be left empty. With the facilities we are offering, there are not many condos in the area offering the same amenities as us,” he added. Set to launch in September, the project is now open for registration.